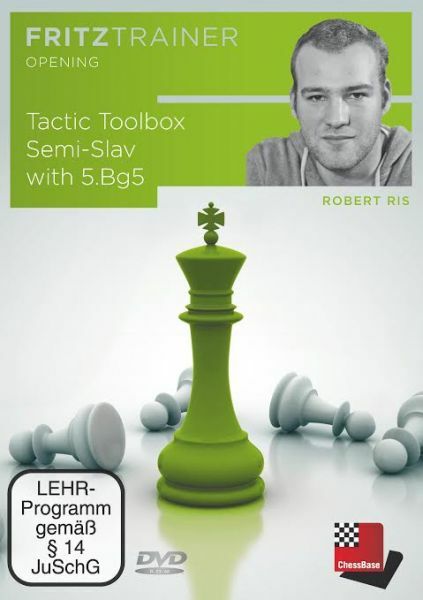 Schach DVD Tactic Toolbox Semi-Slav with 5.Bg5 | Videolektionen | Eröffnung | Training | ChessBase | Schachversand Huber - Spielen Sie eine Partie Schach ! Produktinformationen "Schach DVD Tactic Toolbox Semi-Slav with 5.Bg5"
2) 5…dxc4 The Botvinnik Variation with 5…dxc4 is Black’s sharpest option. It cannot get any crazier! 3) 5…Nbd7 The Cambridge-Springs Variation with 5…Nbd7 is Black’s most solid option, but it still leads to a strategically and tactically complicated middlegame. Kundenbewertungen für "Schach DVD Tactic Toolbox Semi-Slav with 5.Bg5"